Drawing a timeline of the selfie - you’d start 175 years ago with Robert Cornelius, an amateur chemist who snapped himself round the back of his family's silver-plating shop in Philadelphia. Then somewhere between Robert and the proliferation of the duck face, you’d have to plot the magical self portrature of Tseng Kwong Chi. 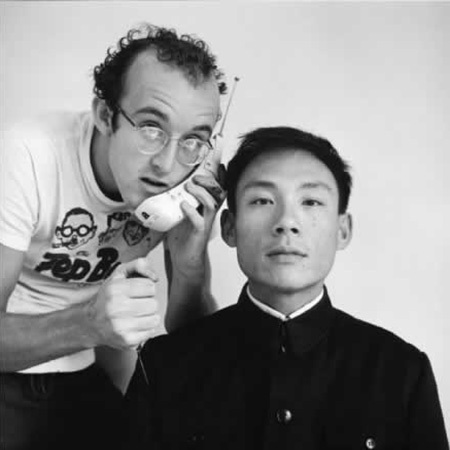 The Hong Kong-born American photographer was active in the East Village art scene in the 1980s. Tseng’s best-known work, “East Meets West,” shown below, is a series of self-portraits shot at iconic sites around the world. Sporting a costume modelled after Chairman Mao, Tseng would pose morosely in front of sites including Disney Land and The Empire State Building. Traversing nature and culture, Tseng’s project resulted in a series of 100 silver gelatin self-portraits, including humorous explorations of tourism and cultural identity. The photographer died in 1990, aged 39, from an AIDS infection. Tseng’s work features in many collections, including the San Francisco Museum of Modern Art, New York’s Guggenheim Museum, George Eastman House, New York Public Library, New School in New York, Museum of Fine Arts in Houston, Walker Art Center, Wellesley College Art Museum and Los Angeles County Art Museum.